PESHAWAR: At least 49% of class five students cannot read a sentence in English, 50% cannot solve a two-digit arithmetic division and 55% are unable to read Urdu books designed for grade two. 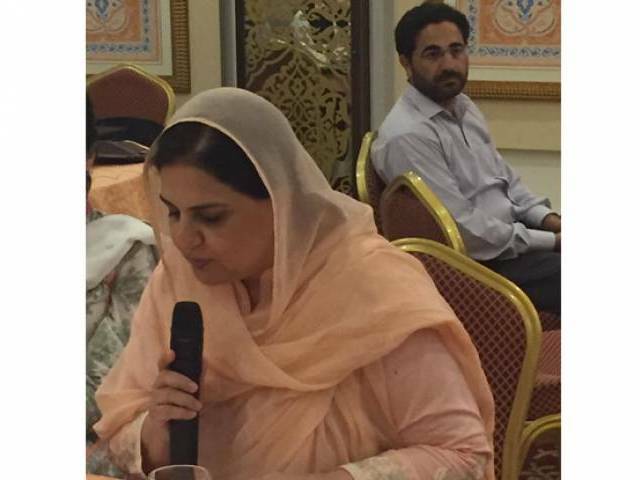 This was shared by Mustafa Shahbaz, a facilitator for School Reading Programme 2016, at a workshop organised at a hotel in the city on Thursday. The School Reading Programme has been launched in collaboration with the Children’s Literature Festival and Alif Ailaan. The initiative aims to improve the quality of education through the art of storytelling. It seeks to engage politicians, local government representatives and education managers in achieving this target. A large number of ministers, politicians, LG representatives and education managers from Khyber-Pakhtunkhwa participated in the workshop. PTI MPA Shaukat Yousafzai, MNA Sajid Nawaz, Senator and Pakistan Peoples Party leader Rubina Khalid, Special Assistant to Chief Minister on Law Arif Yousaf and naib nazim Syed Qasim Ali Shah were in attendance. During the workshop, they were asked to read Sakhi Darakht – a story that reflects man’s dependence on nature – to children. Politicians were encouraged to act out scenes from the story and spin yarn based on a similar theme. This was done to pique the children’s curiosity about the story and foster an interest in reading. Published in The Express Tribune, April 15th, 2016.